Taste is a personal thing. There are coffee people and there are tea people in this world. It used to be that “never the twain shall meet.” I believe I have found a bridge across this seemingly impassable divide though. The answer is quality, not quantity. With anything you try from unfamiliar sushi bits to your least favorite vegetable, a quality ingredient prepared with the utmost care will yield a better gustatory experience. When you come across a devoted coffee drinker, ask about their experience with tea. Was it boiling tap water over an herbal tea bag with equal parts honey? Chances are, if they tasted properly prepared tea, they would concede that dirt water is not in fact a synonym. Before you dazzle them with your fancy tea preparations with kyusu, gaiwan and matcha, keep in mind there are all kinds of coffee quaffers--each with their own unique relationship to tea. My first memories of tea are afternoon gatherings with my great-aunt Barbara. Earl Grey tea with milk and sugar was served in delicate porcelain cups that my mom would never have let me touch, let alone sip out of at home, and ginger snap cookies. It felt very grown up to be an eight year old then. About the same time my aunts experimented with instant black tea mixed with Tang. Tang is a powdered orange flavored drink. This was supposed to approximate Russian Tea. While these experiences involved tea, it was not the tea itself that was celebrated, but the opportunity to have a quiet moment during the day. It is only recently due to my love for quality coffee that I was convinced to take the same care with my tea selection and preparation. It might take longer to convince coffee drinkers who are simply using it as a base for 16 ounces of milk and sugar but there are those tea drinkers who “doctor” tea with additives beyond recognition too. I find a London Fog Tea Latte delicious, but that is not really representative of the world of tea. 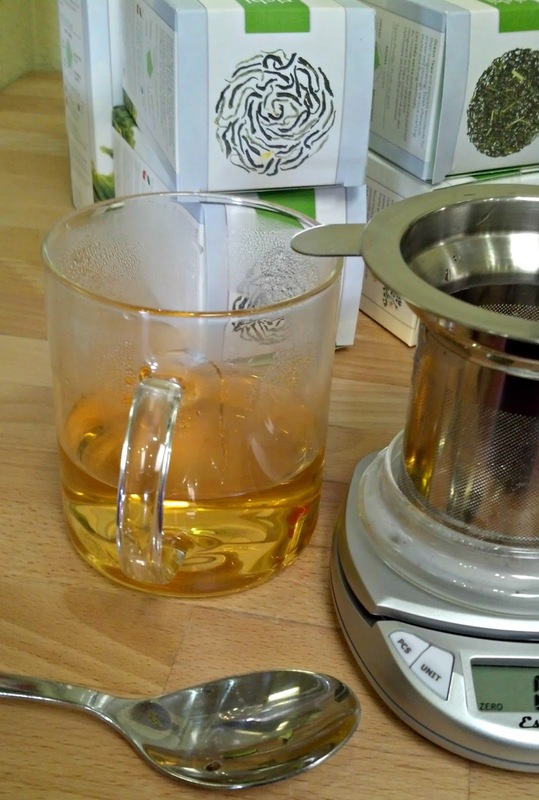 An intermediate step may be to offer a stouthearted Pu-erh tea. It will take a Herculean flavor profile to wake up their sense of ortho-nasal perception. The chances of converting this group to tea are slim but they may learn to appreciate why other people enjoy tea. So, which coffee drinkers could most easily become tea advocates? Specialty Coffee is a moniker used to describe a trend where coffees are now evaluated like wines and fine teas. 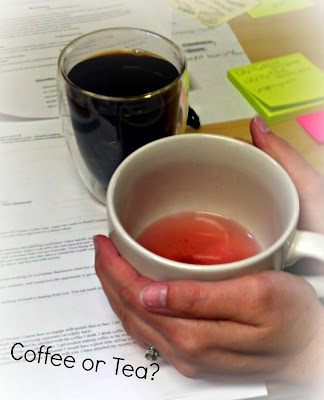 Taste, more than mere caffeine consumption, is appreciated, sought after and discussed. This engaged group of enthusiasts will understand when you explain that water quality, tea quality, temperature and steep time are crucial. They will nod knowingly because this is also true of well-prepared coffee. There is already one group of coffee connoisseurs that drink green tea. Those involved with the business of coffee, coffee buyers and coffee roasters, partake in coffee cupping on a regular basis. Like tea cupping, this is a way to evaluate the different characteristics of coffees. Judges for the Cup of Excellence sample coffees for up to 8 hours a day. A derivative found in green tea leaves called L-Theanine is purported to mellow out a coffee buzz. This is a practical reason to advise any coffee drinker to start a “morning coffee and afternoon tea” routine. Many serious (and some funny) Internet posts talk about why tea or coffee is “better.” The truth is many people like myself enjoy either coffee or tea as long as a) someone else makes it for me and b) the brew method highlights the quality instead of disguises it. I might still prefer a bolder China black tea to a nuanced Silver Needle, but I have hope that my tea appreciation will continue to grow as I learn more.